This large page on famous parenting experts and child developmental psychologists will take you on an exciting parenting styles journey where you get to read about the most important and prominent child experts through history. The essence of past and present Behaviorist parenting styles such as detached parenting, operant conditioning and authoritarian parenting. Parenting experts related to these parenting styles, either as founders, refiners, supporters or 'coiners', are John B. Watson, B. F. Skinner, James Dobson and Amy Chua. The essence of past and present Humanistic parenting styles such as constructivism, unconditional positive regard, positive psychology, attachment parenting. Parenting experts related to these parenting styles, either as founders, refiners, supporters or 'coiners', are Jean Piaget, Abraham Maslow, Sigmund Freud, Erik Erikson, Alfie Kohn, Carl Rogers, Martin Seligman, Dr. Benjamin Spock, John Bowlby, Mary Ainsworth, Dr. William Sears (and Diana Baumrind). Basically, all parenting styles can be divided into two broad categories: Humanism or Behaviorism. Yes, each one of the parenting experts brings their own unique perspective and ideas on child developmental psychology, and each approach varies somewhat, but despite their differences, all philosophies on the psychology of children have their most basic roots in one of these two fields of beliefs. Some people may think that such a division is rather simplistic and many child development psychologists and parenting experts argue for the inclusion of other categories such as Cognitive, Social Cognitive, or Intellectual, but in looking at all theories of parenting, it is very easy to see that each one is based on one of these two approaches. 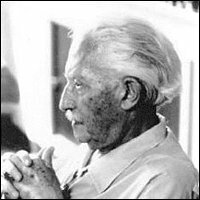 Both Behaviorism and Humanism acknowledge that experience shapes behavior, however, Behaviorism focuses on physical, external behavior while Humanism considers the whole person. Behaviorism begins with a pre-set list of non-negotiable rules and works to make and mold the child so that he or she will fit the parents' preconceived ideas of who they think he or she should be. The goal of this 'shaping' is, among other things, that the child's behavior earns the respect of the family, the specific culture, and society as a whole. Humanism begins with a long-term goal of creating a happy, caring and psychologically healthy person. The rules and methods are secondary and will be worked out along the way, staying flexible but never losing sight of the big picture. Goal of Behaviorism: Shaping the child to become a valuable asset for the family and society ... the type of valuable asset is decided in beforehand. Goal of Humanism: Supporting and encouraging the child to reach and naturally grow into his or her full potential ... what ever it is. The premise of Behaviorism: the child exists for someone or something else. The Means of Behaviorism: Boiled down to the very core, Behaviorism is based on the idea that one 'stronger' person can (and should) control another 'weaker' person through manipulation - typically through the use of threats and punishments (rewards is certainly also manipulation but is not exclusively seen in the 'traditional' behaviorist parenting styles). 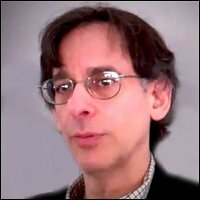 The Means of Humanism: Emphasis on supporting autonomy and an authentic character. A strong belief in the individual supported by the means of unconditional love, approval and acceptance. The practical focus is on meeting needs and responding to children as individuals, giving each one what THEY need in the WAY they need it. ... conditioning is the best way to prepare children for the expectations of adulthood and the "real world" beyond the safety of the home. Thus children's behavior can be shaped, and they can be conditioned to act in certain ways. ... that it is their job to set a child's goals, determine appropriate behavior, decide needed changes, and design the system of rewards and punishments that will give the desired results. ... life is like a staged play: children will follow a written script, act according to the director's instructions, and stay within an arranged environment with all the sets, props, and tools needed for a perfect performance. This is necessary because it is believed that a child is not capable of making responsible decisions on his own and, therefore, must have someone do it for him until he can be trusted to behave in a way that is acceptable to both his parents and society. ... parents should be models, examples for their children to follow - teachings through doings rather than sayings. ... learning involves the whole person, and therefore, parenting should consider every aspect of child development - physical, social, and cognitive. ... it is a parents job to teach their child to set their own goals, determine their own behavior based on an internalized set of values, and learn to make the needed changes when they are not happy with the consequences of their actions. ... life is not a script, it is an experience and should be lived to the fullest. ... that any child can become all that they were meant to be. The child is accepted for who he is. ... children should be involved in decision making processes as much as their age/maturity will permit and are allowed to make mistakes. The philosophy of detached parenting as introduced by John B. Watson who suggested that parenting should be approached with lots of rules and little affection. 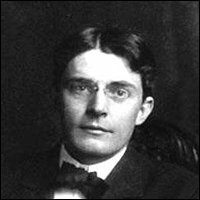 John B. Watson proposed that if children become too attached they will grow to be dependent and insecure adults. Therefore showing affecting wasn't just seen as irrelevant, it was 'dangerous' even. Too much affection would ruin the 'adult' goals set out for the child. According to John B. Watson's parenting experts theory, parenting is simply a 'job' and should be approached as such. There should be strict schedules, controlled environments, elimination of a child's free will, and no regard for individuality, personality, emotion, instinct or desire. Plain and simple! 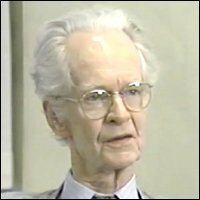 While B.F. Skinner worked primarily with rats, his findings and theories have been the inspiration for many parenting experts and foundation for many parenting theories over the years. Basically, B. F. Skinner said that all behavior is affected by consequences and is a result of external sources or stimuli, conditioning. 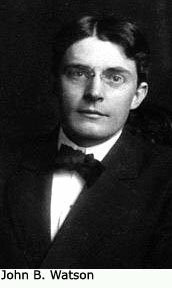 Like John B. Watson, he believed that thoughts, emotions, desires, and beliefs could not be used to explain or justify behavior. Children will do what they are supposed to do simply because they will want the reward for doing so (or they will want to avoid punishment). Continued reward leads to a pattern that eventually develops a habit and then specific behaviors will become automatic. 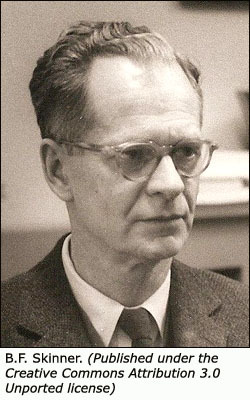 Although B. F. Skinner is often considered "old school", his behavior modification methods are still promoted by parenting experts today and are very prominent in many educational systems. Since children have been conditioned to believe that they exchange rewards for behavior, things such as star charts, report cards, treats, and extra privileges are often used to encourage particular actions. This term, coined by developmental psychologist Diana Baumrind, is simply just another way of saying Behaviorism. While Humanistic parenting approaches have definitely dominated the parenting field as of late, authoritarian parenting can still be seen in the work of such parenting experts as James Dobson or Amy Chua. 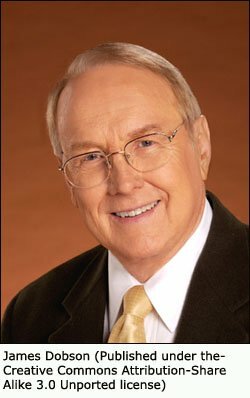 James Dobson does insist upon obedience and parental control, but he tones his rigid approach down a little by saying that children need unconditional love. Amy Chua, however, takes the authoritarian approach to the absolute extreme. Her strict rules, tough love, and achievement based parenting style leaves no room for a child's wants or desires. In fact, what a child wants doesn't matter because a parent always knows best. Failure to meet the standards results in punishment, insults, and loss of privileges. 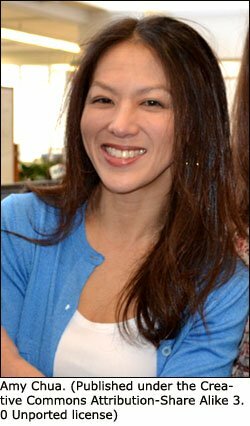 However, despite the blatant Behaviorism, Amy Chua claims that this style of parenting in very successful in many countries of the world and that disdain for her ideas is really confined to the Western countries. Behaviorism was the ruling parenting method for decades, until many parenting experts started questioning its results. 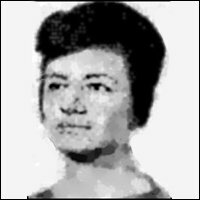 Although it promised that the right environment would produce the "right" children, this didn't always seem to be the case. Despite some parents' apparent success, others noticed that rebellion, resentment, low self-esteem, an inability to solve problems, and a lack of accountability or responsibility seemed to be prominent among many children who had been raised according to strict behavioristic standards. 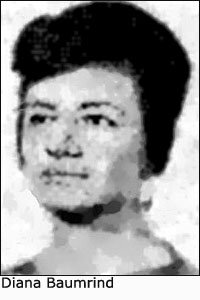 "Behaviorism creates a desire for the reward (the bribe) rather than the task, and never creates commitment." Parenting approaches rooted in Humanism began to rise up in response to all the questions and doubts raised by some of the parenting experts who did not support the more Behavioristic parenting styles. This theory states that a person's understanding and knowledge of the world comes from processing and organizing personal experiences. Every time a child encounters or experiences something new, he must find ways to incorporate this information into the knowledge and ideas that he already possesses. This may mean building on current understanding or even replacing old ways of thinking with new ones. Constructivism believes that each person creates their own knowledge and understanding through exploring, investigating, and experiencing - or using their five senses. When psychologists such as Jean Piaget and Abraham Maslow first introduced this idea it was embraced by those who thought that Behaviorism was incomplete. Remember, Watson argued that a child's environment was all that mattered so behavior was shaped by manipulating the environment in which a child grew and functioned. 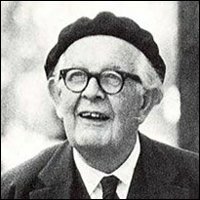 Jean Piaget proposed that there was a little more to child development than what Behaviorists claimed. Yes, the environment is important. But, even more important is the way in which a child interacts with this environment. He believed that human learning is actually "constructed" by joining one logical structure or thought process with another - kind of like building blocks. According to Jean Piaget's Constructivist Theory, parents must understand the steps a child goes through on the journey of development so that they can meet the child's need for exploration and discovery at each level. The biggest difference between Behaviorism and Jean Piaget's theory is the idea that children must be involved in their environment and create their own understanding of what they experience. In other words, even if a parent controls the environment perfectly, how a child interprets and process this environment (and his experiences within this environment) will determine development and personality. 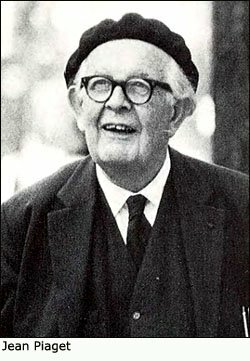 Unlike John B. Watson, who believed children were a blank slate to be programmed and designed according to a parent's plan, Jean Piaget suggested that every child already possesses everything they need to become a healthy adult but must use their experiences and social interaction to construct these "blocks" in a useful manner. 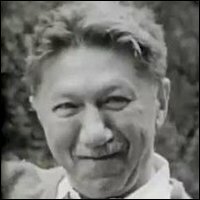 Abraham Maslow is famous for his idea of Self-Actualization, but his theories have a strong constructivist foundation. Abraham Maslow believed that in order to discover their true identity, individuals must move through a hierarchy of needs where one level builds on the other to lead to Self-Actualization. Therefore, as parents, by meeting your child's needs (or helping him meet his own needs), you are also helping him "create himself" or achieve his full potential. 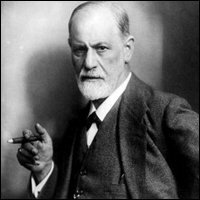 Although Maslow began with the teachings of Sigmund Freud, he disagreed with the idea that much of an individual's behavior was a result of what was held in the unconscious (limiting a person's ability to make "conscious" choices) and felt that Freud focused far too much on the negative aspects of humankind. Maslow popularized Humanism by suggesting that parents should concentrate on promoting the positive rather than always trying to "fix" the negative. 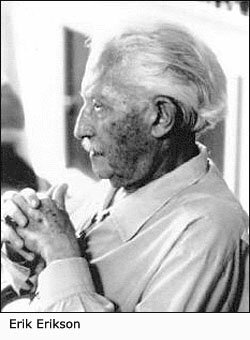 Erik Erikson's Psychosocial Theory was also based on the foundation established by Piaget and gives further strength to the idea that children move through stages and "build" an understanding of the world (or develop connection) through experiences, interaction, and nurture. This parenting approach works from the premise that every child has within them all they need to become who they are meant to be. 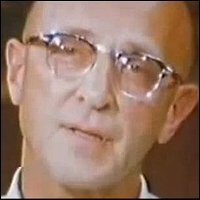 While psychologists such as Freud, Piaget, Maslow, and Erikson pioneered humanism, it was experts like Carl Rogers and Alfie Kohn who truly paved the way to a new type of parenting. Parenting experts with a constructivist approach believe that everyone has the same needs and must pass through the same stages of development in order to become healthy adults - although they do acknowledge that the journey through these stages will not be the same for everyone. Carl Rogers' theory takes a less universal approach. In fact, he endorses individuality - everyone is unique and should be treated as such. It is from Rogers' work that we get the phrase "child-centered parenting". No, this does not mean that the child rules the home - as many authoritarian parents would have you believe. It actually suggests that every child has strengths and abilities that will shape their personality and help them become a unique, secure, and happy adult. It is the job of the parents to provide what Carl Rogers calls the Unconditional Positive Regard - or acceptance without judgement - to encourage their child to discover and develop those things that make him special and to teach him how to use those strengths and abilities to impact the world in a positive way. 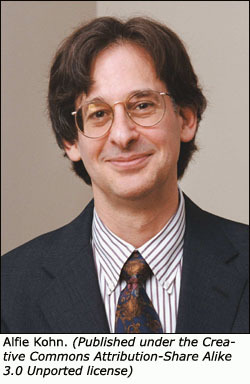 Alfie Kohn, in his theory of Unconditional Parenting, disagrees with the Behaviorist method of rewards and punishments. He believes that these things make a child feel like they have "earn" their parent's love and affection and causes them to grow up thinking that they are not free to explore their strengths and desires but must behave according to expectations. His research has shown that many children raised in "conditional" environments will often become resentful, insecure, and discontent because they were unable to fulfill their unique needs or pursue their individual dreams. Parenting experts such as Carl Rogers and Alfie Kohn suggest that childhood experiences impact personality development and that the best kind of parenting style is one that focuses on the child as an individual. 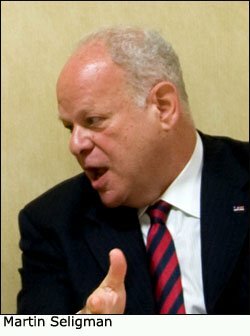 Martin Seligman adds another aspect to this approach. While he agrees that parenting should be child-centered, he also suggests that the health and well-being of the parent is vitally important. In other words, as a parent you should put your child first, but, as a unique individual, you should not neglect yourself. Your sense of self-worth, security, and fulfillment will impact your child. 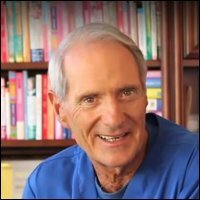 His theory of Positive Psychology supports a "two-way street " - a positive parent will produce a positive child. And, like his parenting experts colleagues, Seligman endorses being goal-centered rather than problem-centered so that you are focusing on the child as a whole rather than all the little issues. So, Unconditional Positive Regard, Unconditional Parenting, and Positive Psychology and Positive Parenting - all rooted in Humanism - believe that the most important part of parenting is to meet your child's needs, help him find his strengths and passions, and teach him how to use those "virtues" to be future minded, independent, and "self-actualized". Based on Attachment Theory, this parenting approach had gained a lot of attention in recent years. 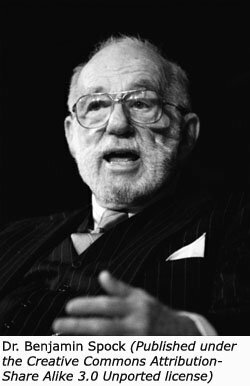 Although it was popularized by Dr. William Sears, its foundations were laid by Dr. Benjamin Spock. 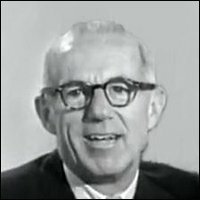 When Dr. Benjamin Spock came on the scene, he went against prevailing behavioristic parenting experts and revolutionized parenting and changed the way parents interacted with their children. He argued that external rewards and punishments produced external results without character. Children should be treated as humans (thus Humanism) and not robots. Furthermore, it should not be assumed that every child has the same needs or would respond in the same way. His theory simplified: trust your instincts and intuition, show affection, follow your gut, and do what you think is best for your child. By responding to your child you will create a bond that is far greater than any reward or punishment. 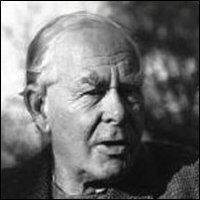 John Bowlby and Mary Ainsworth supported this idea of responsiveness and attachment through their studies at Tavistock Clinic. 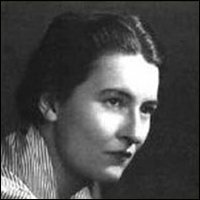 After observing children who were isolated from their parents or caregivers (particularly their mothers), John Bowlby and Mary Ainsworth concluded that children who were deprived of responsive mothers had difficulty with relationships, even into adulthood. A loving, sensitive, responsive relationship with parents will encourage self-esteem, confidence, and independence. From these observations, Bowlby created Attachment Theory. Further studies have proven that responsiveness is very important to child development and it is this factor that forms the basis for Diana Baumrind's Parenting styles. Each style is defined by its ratio of parental responsiveness to demandingness, with her suggestion being that parents should try to find an equal balance between these two factors. High responsiveness with low demandingness is only a little better that than the opposite of low responsiveness with high demandingness - both, however, she views as detrimental to healthy child development. Using Attachment Theory as a starting point and taking into account the benefits of a responsive, engaged parent, one of the most famous parenting experts today Dr. William Sears developed what is known today as Attachment Parenting. This parenting approach works from the premise that parents should build a connection with their children, be in-tune with their moods and needs, and be truly present in their interactions. Responding to your child in a way that makes him feel safe and secure, assuring him that he is accepted and loved unconditionally, and learning how to maintain healthy, open communication should form the foundation of your parenting techniques. Since every child is a unique individual, relationship cannot be reduced to a set of rules, but parents should respond to their child in a manner that is best for both parent and child - in a way that focuses on developing a strong, secure attachment. Attachment parenting is based on mutual respect, behavior modelling, unconditional love, and talking as well as listening. Children are seen as valuable human beings and are treated as such. Biography, 3 Parenting Styles and Criticism (Spanking).